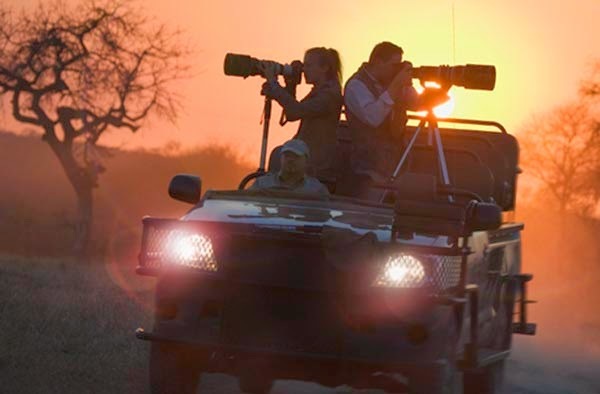 Normally on this blog site I only write about equipment pros would use, but recently I was asked by a friend to recommend a camera to take with her on a trip she is making to Africa. It is a question I am frequently asked so I thought it might make an interesting post for anyone else who is asked for the same recommendation, and, like me, is usually unfamiliar with this simpler variety of cameras. It's just not an area we usually have need to explore. This is how my typical trip to Africa looks -- a complete arsenal of fast cameras and long telephoto lenses. Can all of the be reduced into something that fits in the palm of your hand and easily slips into a pocket? Let's see. The camera my friend really wants is a point-and-shoot, something she can tuck into her purse or pocket, but capable of delivering good quality photos in a small format. It also has to be easy to use because she is not a photographer and doesn't want anything overly complicated. Fair enough. With those criteria in mind, I decided to tackle this request and did some research based on what I know of Africa from my own photo trips there. Getting in tight for close-ups of the animals requires a very long telephoto lens. A minimum focal length equivalent to at least 400mm is best. All of these cameras can extent to over 700mm and should to the job. It had to be very small with a fixed, collapsible lens. The lens had to be a super-zoom reaching beyond 400mm, which is what I know is needed for photographing animals in Africa. The camera would be used primarily in bright daylight so a fast aperture was not necessary. The bright daylight raised another issue, however, in that it would be difficult to compose a shot on an open LCD. This meant that an EVF finder would be a really desirable feature. Shooting in RAW was not necessary because the camera would be used by an amateur and jpegs straight from the camera would suffice. WiFi would be a nice option for posting the jpgs onto social networks like Facebook and Instagram by transferring them to a cell phone. I came up with three cameras I thought would fill the bill. The first two are almost tied for first place, while the third came in third. All of them have a typical point-and-shoot, small 1/2.3" CMOS sensor. Since the image size requirements were not large, this would suffice for making small prints or posting to social media. For a professional photographer, a sensor of this size would be far from adequate, but for image requirements for personal use, this sensor is more than adequate. Holding a camera steady with such and extremely long telephoto is going to require some assistance from good vibration reduction mechanism. So that is something I considered. The cameras burst rate, the speed at which it can take photos, is important when photographing animals if one of them decides to run and you want to follow focus as it goes. Burst rate is coupled with capture rate, however. So, if the camera can shoot at 10 frames per second, but stops after capturing only 5 images, that could mean missing the most important shot. So, good burst rate couple with long capture rate is the goal. All cameras are quite similar. They are priced under $400, incorporate full HD video, have 3" LCD screens, built-in flash, have super-long telephoto zooms, and WiFi. Only one of them comes with a built-in EVF (electronic view finder) which can be a huge asset in a brightly lit situation like Africa, and was a very powerful reason for making my first choice of the number one camera. 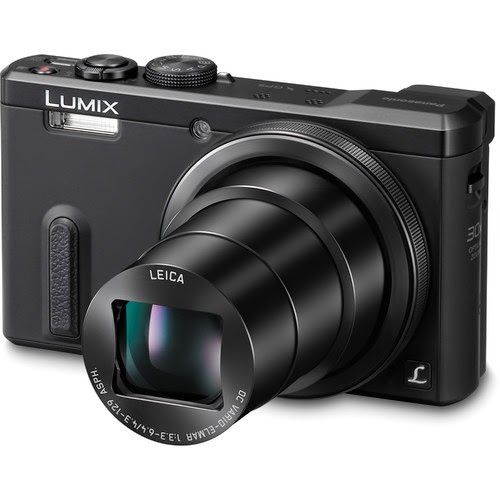 The Panasonic LUMIX DMC-ZS40 camera with super-long 4.3-129mm (24-750mm equivalent) Leica Vario-Elmar zoom. 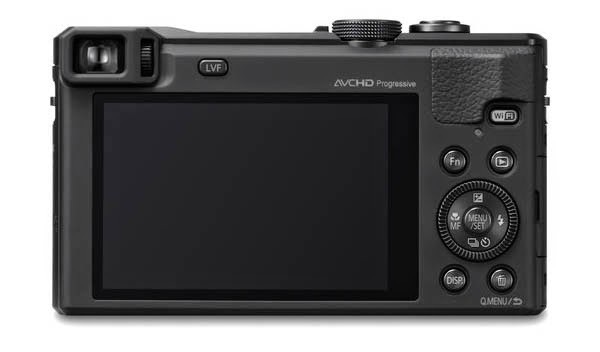 The Lumix nudged out the Sony HX50V for first place primarily because it is the only one of the three that comes with a built-in EVF viewfinder. 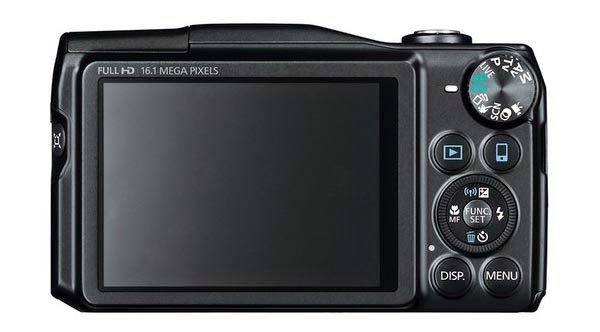 It has a 18.1 Megapixel sensor and 30x optical zoom equivalent to 24-720mm in 35mm sizing. The lens is a Leica DC Vario-Elmar with an f/3.3-f/8 aperture range. That's good. Leica makes great lenses. The Lumix has a shutter burst rate of 10 fps (frames per second) for up to 6 frames. This is quite fast, and should be sufficient to capture a rapidly moving subject, although the 6 frame limit will mean having to wait between bursts for the images to write to disc, and you could miss the important part of the action. Better to slow down a bit and try to anticipate the high point of the action and then hit the shutter button. Rear view of the Panasonic Lumix with its 3" LCD. The controls are logically placed for easy, intuitive access. I like this control panel. The Lumix is the only camera of the three that had a built-in EVF (electronic view finder). This is important on bright days when it is difficult to compose the image on the LCD screen, and is equally important when using such a long telephoto lens. The ISO range 100-3200 and can extend to 6400. In bright sunlight the higher ranges would not be necessary except to help increase the shutter speed to prevent motion blur when the lens is extended to its extreme telephoto settings. This camera can produce both JPEG and RAW images, if the RAW were ever needed later to make post-processing improvements. More than likely the ability to shoot RAW would be unnecessary for a typical amateur shooter. WiFi is built-in making it convenient to transfer images later to a smart phone for further uploading to social media, or including them in emails. The ZS40 weighs in at only 8.47 oz (240g) and measures 4.4x2.5x1.4" (110.6 x 64.3 x 34.3mm), small and light enough to tuck in a pocket. 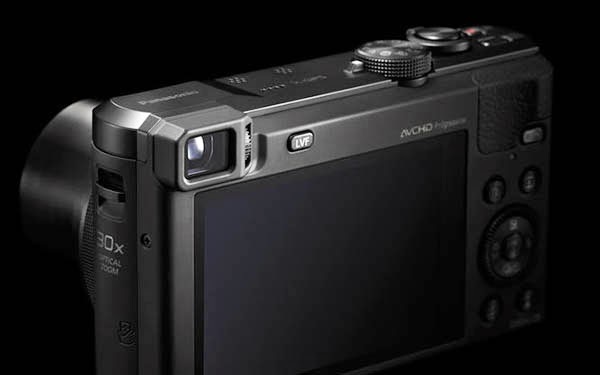 The layout of the Sony HX50V is reminiscent of the controls on the excellent Sony's RX100 series cameras. 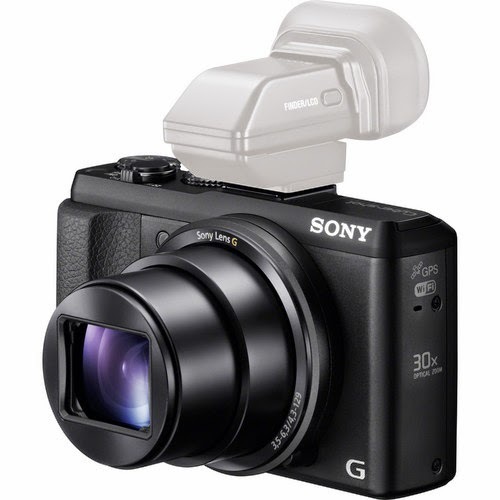 The Sony Cyber-shot HX50V was nudged into an extremely close second to the Lumix because it does not have a built-in EVF finder. It can accept Sony's very good EVF accessory, the FDS-EV1MK finder, but this would be going a bit overboard, since the finder costs more than the camera. The Sony HX50V shown with the option EVF finder -- a bit of overkill, but nice if you can afford it. 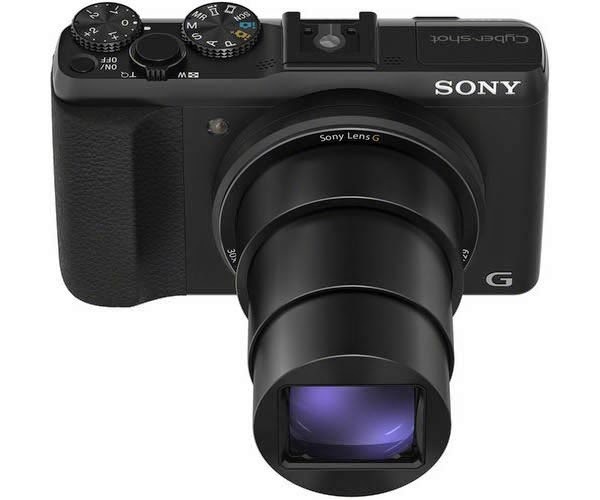 The Sony is a 20.4 Megapixel camera with a frame rate of 10fps for 10 consecutive frames, which is the best of the bunch. It's 30x optical zoom is equivalent to 24-720mm with an aperture of f/3.5-6.3. 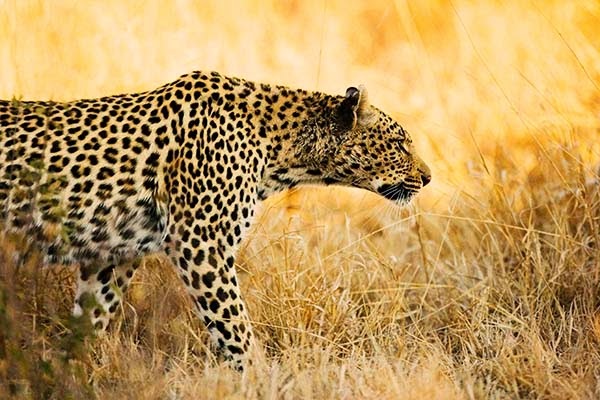 Sony's Optical SteadyShot Image Stabilization comes in handy at the longer telephoto ranges. The WiFi utilizes Sony's fine PlayMemories Mobile App for transferring images seamlessly from the camera to a smart phone. I use this program with the Sony RX100 and find it easy to use and quite efficient. Sony's BIONZ processing engine helps keep the camera moving along quickly with fast auto-focus and speedy processing of images. Don't let the 16.1 Megapixel setting fool you into thinking this camera is under rated. With the small sensors in all of these cameras, over-powering them can cause other problems with low light and decreased processing speed, while not really delivering any noticeable benefit in image quality with small prints. 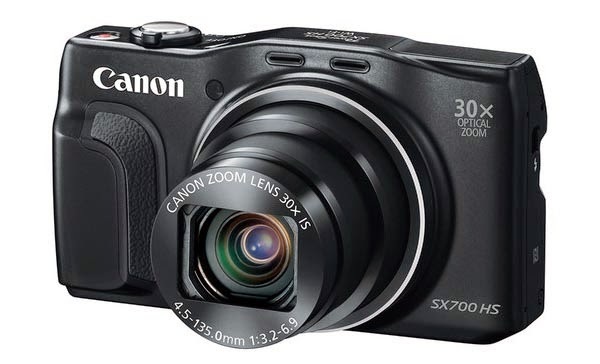 The Canon SX700 has an ISO range of 100-3200, and burst rate up to 8.5. This burst rate is the slowest of the three cameras but still more than enough -- and maybe even preferable -- for capturing fast moving action. Similar to the other cameras, the super-zoom on the Canon has a 35mm equivalent range of 25-750mm with an aperture range of f/3.2-6.9. ISO range is 100-3200, more than adequate to do the job, and the camera has built-in WiFi. Rear view of the Canon Powershot SX700 -- a bit too much for my taste. The differences between these cameras is slight so I am nit-picking a bit by prioritizing them. My choices were based on my knowledge of shooting in Africa, the ease of use of each camera for an amateur, in addition to the performance. Any of them could do the job. It's just that some of them might do it a bit better. The inclusion of a built-in EVF finder in the Panasonic Lumix was a the main deciding factor for putting it in first place. I ignored the fact that it can also produce RAW images because these would only be useful to a professional photographer with considerable skill. This review was limited to very small, pocketable cameras. A larger camera might be preferable for this type of shooting, and I do plan on doing a blog post addressing this other genre. I have limited myself here to the very simplest of cameras available to someone with no knowledge of photography and no interest in getting involved in the mechanics of the process beyond taking some shots, making a few prints, and showing images to friends via a social network.